Over the Christmas period, you’re likely to have a bit of a tipple, and you may well indulge in foods that you wouldn’t normally eat so much of such as foods high in fat, salt and sugar. There are however some vitamin and mineral supplements that you can take in order to help stay youthful and healthy at this tempting time of year. One thing that we all do a little too much of over Christmas and New Year is drink alcohol, even though we all know the bad effects it can have on our health. But there are certain vitamins and minerals that you can take in order to stay healthier while also enjoying those extra glasses of wine. Alcohol is known to destroy B vitamins in the body, and so it’s essential that you replace these by taking B vitamin supplements. B vitamins with extra thiamine (B1) are even better if you’ve been drinking. There are eight nutrients in the B vitamin group that are all essential to certain functions in the body, including the release of energy from foods, healthy muscle and nerve tissue, healthy and younger looking skin and hair, healthy digestion and healthy haemoglobin (red blood cell) formation which is what carries oxygen around the body. Vitamin C is always a good supplement to take when you know you’re going to be drinking more than usual. Alcohol consumption depletes vitamin C in body tissue, and so it’s important to increase the amount that you take into your body to ensure that levels remain normal. A fizzy, soluble vitamin C tablet in a pint of water in the morning after drinking can also help to restore your hydration levels. Emergen-C is a popular vitamin C supplement used to combat the effects of drinking too much alcohol and doesn’t contain the harmful toxin aspartame like some fizzy vitamin C tablets you find on shop shelves. Multi-vitamins are always a good idea when you’re drinking excess alcohol as alcohol is damaging and can strip your body of many essential vitamins and minerals. By replacing these, you’ll feel and look much healthier and younger over the festive party season. 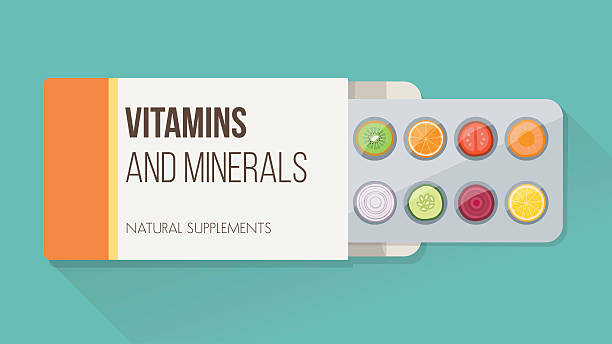 Go for a supplement that includes essential minerals as well as vitamins. Another important supplement to take over Christmas is fibre in order to aid digestion at a time when you’ll probably be eating more than usual. Fibre is essential for carrying out the rubbish and helps your body to rid itself of what is left behind after all the good and useful nutrients have been absorbed by the body. Fibre can easily be increased also by eating more high-fibre foods such as fresh fruit and vegetables, wholemeal grains and pulses. Potassium is essential for recovery of the body, so if you’re doing a bit of damage by eating and drinking bad substances over Christmas, indulge in a few bananas for breakfast which are high in potassium or take a multi-vitamin that contains potassium. One supplement which is commonly associated with offsetting the effects of alcohol is milk thistle, which is great for increasing liver function. Since the liver is where alcohol is processed and is the most common organ to be damaged by alcohol, it’s a great idea to take milk thistle before and after you go out drinking. Milk thistle comes in capsule form or as a tincture. Alcohol and eating unhealthy foods can cause dehydration which ages you faster. To stay looking young and healthy over the Christmas period, make sure that you drink plenty of water which will also help to flush toxins out of your kidneys and liver.